Even though TweetDeck is one of the most powerful and beloved Twitter clients for Windows, the social network has announced that it will soon drop support for the program, leaving fans with just the web app at their disposal. However, the Mac version of TweetDeck is not affected, remaining in the lineup for the foreseeable future. Twitter has not exactly provided a reason why it is pulling TweetDeck for Windows, only saying that this is being done "to better focus on enhancing [users'] TweetDeck experience". However, the fact that it just launched a new version of Twitter for Windows 10 likely plays a role in its decision. On top of that new app, as I mentioned above there is also the web version of TweetDeck that users can access from Windows, which offers similar levels of functionality as the former client. And it has been improved to make the transition from the Windows client more seamless. 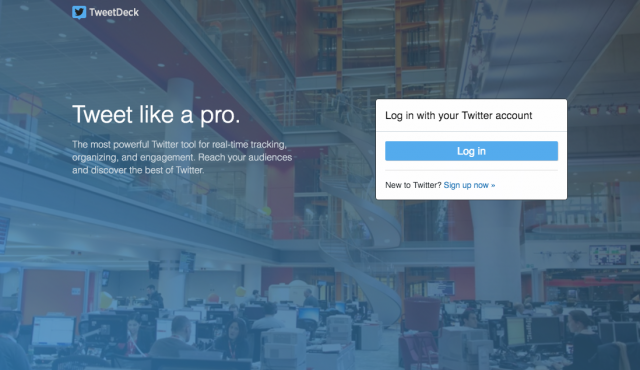 If you are logged in on Twitter, the web app will automatically log you in, so you do not have to enter any more credentials. "We’ve been working on infrastructure projects like this to ensure we have a stable foundation to continue improving TweetDeck in the future", explains Twitter. There is also an easy way to pin TweetDeck on your Windows taskbar, so you can have quicker access to the web app. That can be done by going to Customize and control, then More tools, and clicking on the Add to taskbar button. TweetDeck for Windows will no longer be supported starting April 15, but it looks like the program has already been pulled from the TweetDeck website. Twitter does not say whether those who are currently using it will still be able to do so past the middle of April, but there is a very good chance that will not be the case.